Gerbera daisies bring color and cheer to the garden or inside the home as cut flowers in a summer vase. 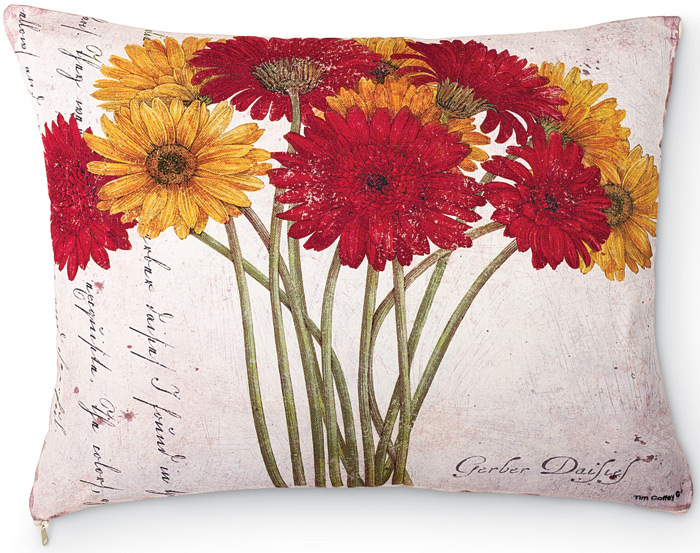 This wonderful Gerberas design has been hand printed on 100% polyester fabric that feels like cotton. This outdoor pillow is fade, mildew and weather-resistant. Polyfill insert.